Amsterdam, 6 December 2018. 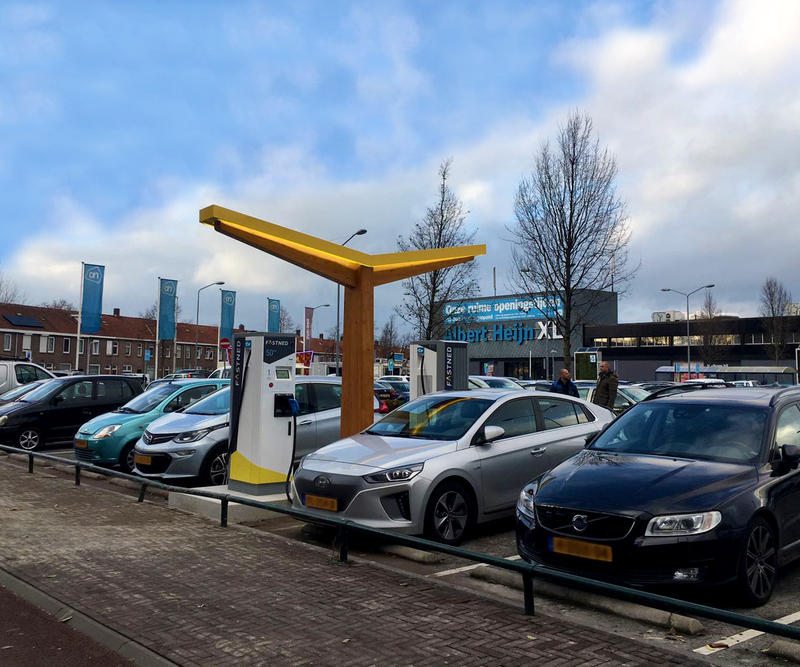 Fastned, which is building a European network of fast charging stations, has opened her first fast-charging station at a supermarket of Albert Heijn. This is the first station of Fastned on the parking lot of a supermarket and part of a pilot at 3 Albert Heijn stores. If the pilot is positive, both parties have agreed to collaborate on the realisation of more such stations. The fast charging station at the Albert Heijn has two 50kW fast chargers, where electric cars can charge up to 20 times faster than at home. Fastned supplies 100% renewable electricity from the sun and from the wind. The aim of the pilot is to test whether there is a need for fast charging while doing daily groceries, which usually takes around 30 minutes. Fastned installs DC fast chargers with which electric drivers can charge up to 150 km of range in half an hour. This is much faster than at AC charging poles. The Fastned fast chargers are only suitable for fully electric cars and not for plug-in hybrids, which do not have the correct (DC) plug.